The balance/ Any ammendments need to be made 1 month prior to arrival. We are situated in a quiet residential area around 10 minutes- walk to the famous Canterbury Cathedral, Historic Town and Canterbury’s other main attractions. 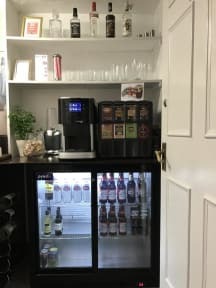 Set in a beautiful 130 year old town house, we offer a wide range of budget accommodation from dormitory rooms to single and double/twin rooms, - suitable for both groups and individuals. Large Dining area situated in our conservatory with views of the garden. Private Rooms – Tea & Coffee Facilities/ Digital TV/ Towels/ Desk and Wash Basin. 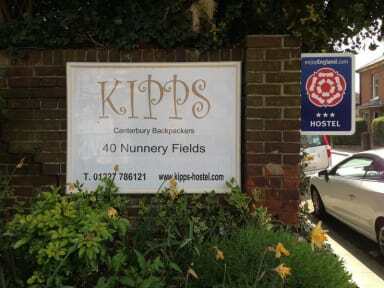 Kipps Canterbury is within easy walking distance of the City Centre, Canterbury East Train Station and the Main Bus station. PARKING - Parking is available outside the hostel. Permits for Kipps Guests = £6.00 24 Hours.